Inspired by nature and incredibly simple but highly effective, Designer Boucle rugs make a statement without over-powering. Hand-woven in India from a unique blend of hand-spun wool and viscose. 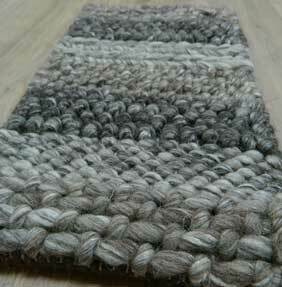 The bold loop pile gives lots of texture and comfort whilst maintaining a simple and subtle appearance. A few designs include a basket effect weave as well as loop, this adds to the overall texture and appearance. Choose from five standard size, bespoke sizes are also available to order.